Improving the road safety thanks to the analysis and simulation of historical data on accidents and actual data about the road infrastructure. Automobil Club Assistencia SA. 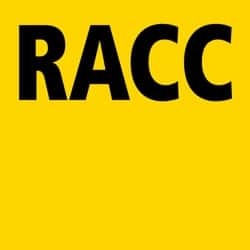 RACC is the biggest Spanish motoring club with around 1 million members. The main services that RACC provides to its members are roadside assistance, medical and legal advice, travel assistance and traffic information. RACC is an automobile club in transition to a mobility club. Given the data on existing traffic accidents and the conditions of the road the proposed challenge wants to validate if this data could help to develop some solution in order to increase the awareness of all the users of the road about its risks and, therefore, increase the levels of road safety. The challenge expects solutions where the user is informed about black spots or about the risks of certain road conditions (after being carried out a correlation of the two datasets). Reduction of killed and serious injured people involved in a crash. Reduction of incidents involving VRUs (Vulnerable Road Users) such as pedestrians or cyclists. Reduction of the risk of a specific road or stretches, basically: risk = number of crashes with / average daily traffic. Reduction of the fatality rates. Increase of the investment on road maintenance by the road owners.